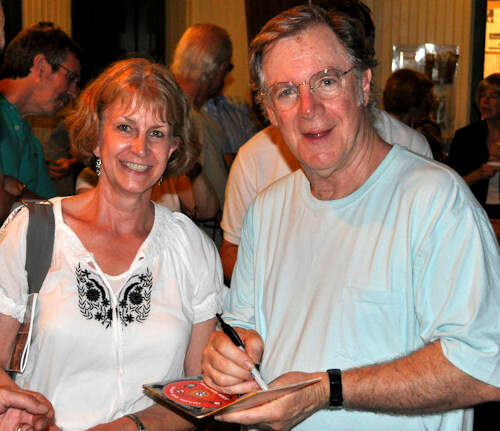 John Sebastian mingling with fans following a concert. find headline musical acts and celebrity concerts, Broadway and off-Broadway musicals, classical music, rock, and everything in between at one location or another throughout Lancaster County and the surrounding towns. Plus, many local restaurants and lounges offer evening and weekend entertainment. And during the summer months, you can pull up your lawn chair or throw down a blanket and enjoy an outdoor concert in the park or at a Lancaster winery. Enjoy the live music scene in Lancaster. Check the following venues for times and groups. 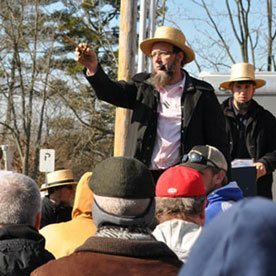 Then see our Events Calendar for a complete schedule of Lancaster events, including live theatrical performances. Broadway musicals, concerts, and cabarets throughout the year. 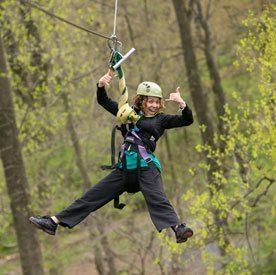 Serving Lancaster County by making professional entertainment accessible to everyone with Pay-What-You-Want prices at a variety of venues (parks, schools, churches, theaters, etc.). Visit ServantStageCompany.com for upcoming shows, tickets, and more information.